Now this one is in a different league altogether – a brilliant novel, beautifully written. I am confident you will enjoy this a lot more than the Howard! It is indeed very acutely observed. What I like about this novel is the way Panter-Downes starts with the Marshalls, then broadens out to paint a picture of a community trying to adapt to life after the war. Each family has their own set of challenges to face (or opportunities to grasp), and she illustrates these so beautifully as Laura goes about her day. Stories of decline usually fascinate me. The fact that this end on an optimistic note is OK as sometimes a decline is not really a decline. Thanks, Brian. I was glad it finished on a hopeful note. It felt like the perfect ending to Laura’s story. It’s actually not that distressing or troubling to read in spite of the post-war setting. There’s a real lightness of touch here, similar to that in some of Elizabeth Taylor’s novels. I think you’d like it a great deal. Lovely review. I really loved this novel too. The subtlety of the writing is perfect, as is the setting. It tells a story that was probably repeated across the country after the war. Yes, I loved the writing too. It’s sheer perfection, such a lightness of touch. She makes it seem so effortless when in fact it is anything but. I loved this and it was one of my best of year books at the time. She hasn’t written a great deal which is a pity. I think there’s every chance it will make my 2017 highlights too. I have a collection of her short stories from Persephone, but apart from that there doesn’t appear to be much in print. As you say, it’s a shame she didn’t write more. On the evidence of this she was a huge talent. Wonderful review, Jacqui. I loved this book – I thought she caught the atmosphere of an English summer so well. I have her other collections which I really must get, because on the strength of One Fine Day they’ll be well worth reading! Yes, I love the final section where Laura climbs the hill at Barrow Down, the sense that the land will continue to endure while the social fabric of the country is changing – just wonderful. No, I think I had already read it – it was wonderful and I loved the sense of the landscape and the countryside enduring, whatever we silly humans do. Yes, that comes through so clearly. I’ve been saving this because everyone who has read it says that it is wonderful, and I think it needs the perfect moment. Maybe this summer .. Yes, it’s pretty special. I think it would make a great summer read. Beautiful review of a beautiful novel! I must re-read – it’s so perfectly observant. Thanks, Simon. I’m sure it would stand up to a re-read. Each you say, each scene is so beautifully observed – rich in detail and yet handled with such a lightness of touch. I’m not quite sure how she archives that combination, but it’s very impressive. Oh, I like the sound of this one very much. The way you describe the atmosphere, the book reminds me a little bit of Brideshead Revisited. There’s an element Brideshead in the opening chapters for sure, those glory days of privilege before the war – but the writers I was most reminded of were Elizabeth Taylor and Virginia Woolf. There are touches of modernism in Panter-Downes’ style as the focus moves seamlessly between Laura’s thoughts and those of the people she comes into contact with during the day. It’s very reminiscent of Mrs Dalloway. I’m certainly not the first to make that comparison by any means, but I think its a valid one. Either way, I think you would really enjoy this. It’s a wonderful book, beautifully executed. Just my kind of novel and about such an interesting moment in British social history. Great review. Thanks, Caroline. It”s certainly a novel I would recommend to you – I think you’d get a lot out of it. At first, Panter-Downes’ canvas appears quite small, but then she stretches it out to paint a broader picture of the community (and maybe even England in general). As Ali says above, it’s story that was probably unfolding across many areas of the country at the time. That’s another one on my tbr list then! I doubt you’ll regret it! Gorgeous review Jacqui. The extracts show a very sensitive writer, and it sounds like the story is quite compelling and, in the end, uplifting. 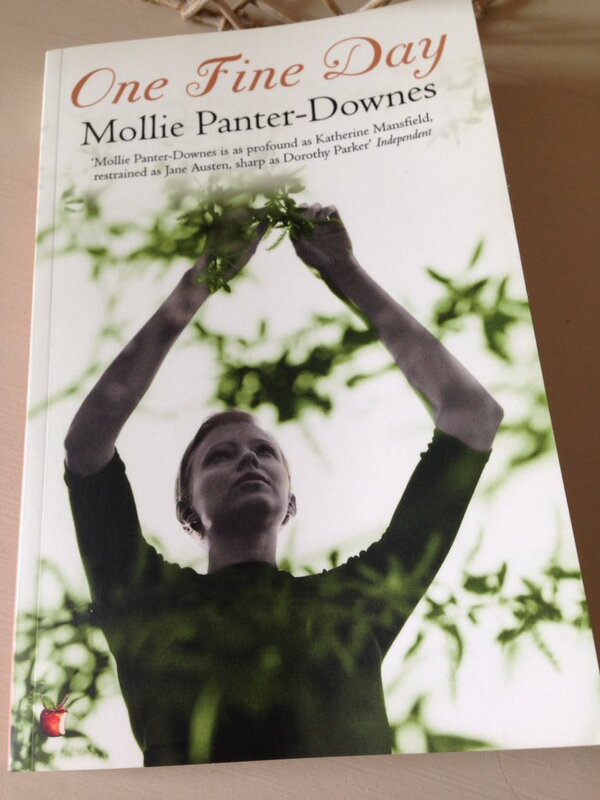 I’ve never heard of Panter-Downes before but she certainly seems like a writer worth looking up. Thanks, Belinda. Yes, she is so worth looking up! I thought this was superb, very subtle and accomplished, there’s not a word out of place. I don’t think she’s terribly well known, even within certain literary circles. I only heard about her through other readers, mainly people like Ali and Karen who read a lot of Viragos. I’m torn on this one – a lot of praise and, as you say, a fascinating insight into a particular moment in British history. But I’m not sure I can sympathise with a character struggling to cope with the absence of servants. Is there any sense that life improved for most people at that time? I know what you mean about the difficulty in sympathising – it crossed my mind at the beginning of the novel too. But then again, Laura doesn’t feel that same sense of resentment over the loss of the servants as Stephen, so it’s easier to sympathise with her. I identified with her character right from the start – at the end of the day, she’s just trying to do her best in a world where everything has changed. I think it’s a little early to see the improvements in post-war life. There are new opportunities for sure — more exciting jobs and a sense of freedom for girls like Violet and Ethel, possibly more money and a better social life for men like George Porter — but it’s a little too soon to see how these things play out. If it helps, I think you’d find it an interesting novel from a stylistic perceptive. The way the author moves seamlessly from one character to another is very reminiscent of Virginia Woolf — Mrs Dalloway in particular. Anything reminiscent of Mrs Dalloway is worth checking out! Very nice as ever Jacqui. The quotes on this one are impressive, that first one is tremendous. It strikes me that part of the optimism is there in that first quote. It may be a loss for Laura and Stephen, but not for their former maids. At the same time that doesn’t mean we can’t sympathise with those who lose out even if most gain. When was this written? 1947? Is Panter-Downes an author you already knew? Don’t rate the cover. All too often publishers seem to decide that books by women with female protagonists are only for women, and in consequence they then give them oddly lackluster and insipid covers. It’s kind of insulting and even if for some odd reason they were just for women why should that mean they get dull covers? Re the first quote, isn’t it wonderful? I loved it too. Yes, you’re right to point out that there are some optimistic elements right from the start. I guess that’s partly what I was trying to convey in my introduction, the sense that the war opened up new opportunities for some — girls like Ethel and Violet, and men like George Porter — but not for everyone. Yes, 1947. I came to her through other bloggers/readers’ recommendations of this book. I can’t quite recall who mentioned it first, but whoever it was knew what they were talking about. (There are links to a few other reviews on Simon’s round-up page for the 1947 Club.) I have a collection of her wartime stories too (published by Persephone). Apart from that, there doesn’t appear to be very much in print. Ah, the cover – yes, I share your frustration there. Virago are particularly poor on that front – their current covers for Elizabeth Taylor are equally off-putting, if not more so! (I cannot tell you the looks I got when I suggested Mrs Palfrey at the Claremont at my book group – I had to preface the suggestion with some comments about not judging a book by its cover, etc, etc.) Olivia Manning is another author poorly served by these stereotyped covers, although I think she might be Arrow rather than Virago. Anyway, I know exactly what you mean – they are terrible!